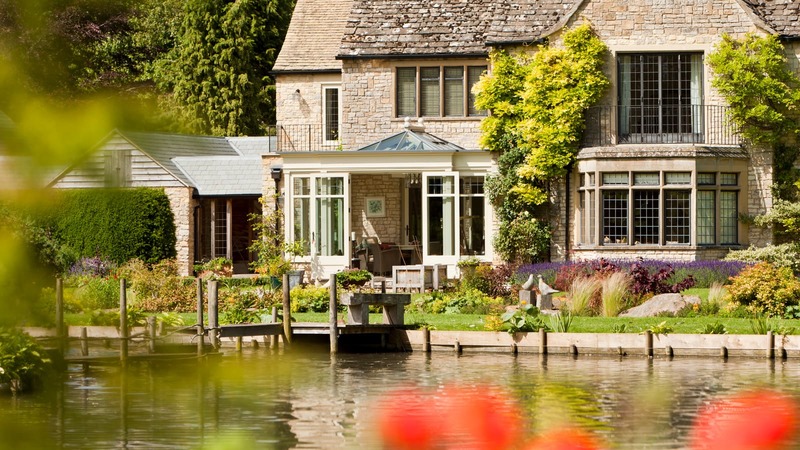 Timeless stone walls and perfectly balanced proportions combine to create an elegant orangery that seamlessly blends with the existing architecture at this stunning country home in Oxfordshire. 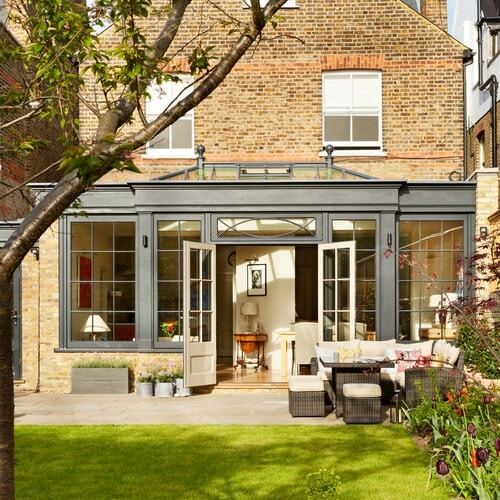 With a square, dated conservatory extension at the back of the house, our clients were determined to replace it with a new, beautifully crafted orangery. 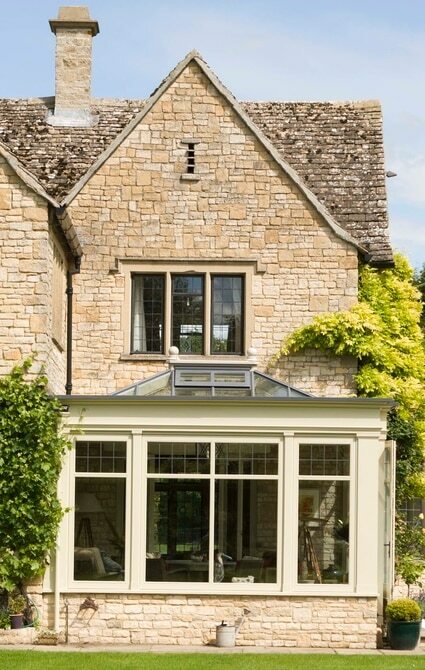 Cleverly designed with large windows and a French doorset, the new orangery still looks out towards the river running through the back of the garden, but with a bright and timeless style that has completely transformed the look of the property. 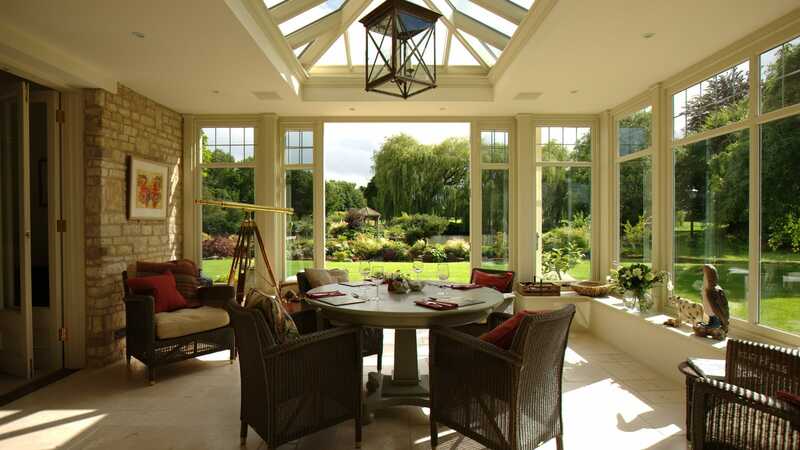 Aesthetically, it was vital that the new orangery extension worked in harmony with the rest of the house. 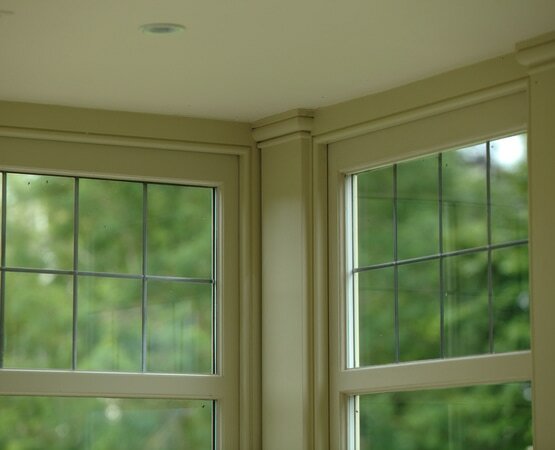 We added a substantial glazing bar that would perfectly emulate the stone transom in the adjacent bay window, in addition to fine lead detailing in the top glazed section. 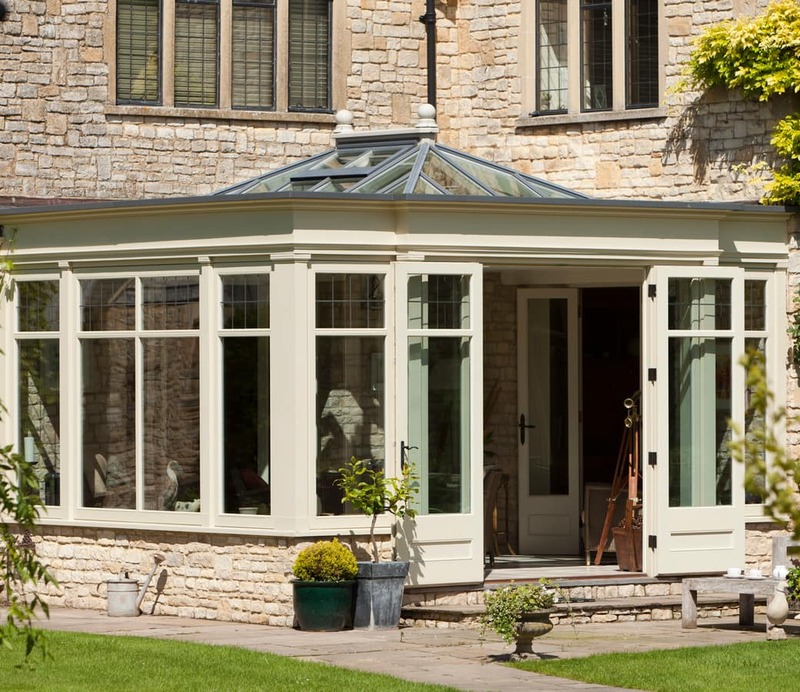 A classic eaves design helped to define and highlight the orangery’s parapet, bringing a sense of splendour to the exterior. 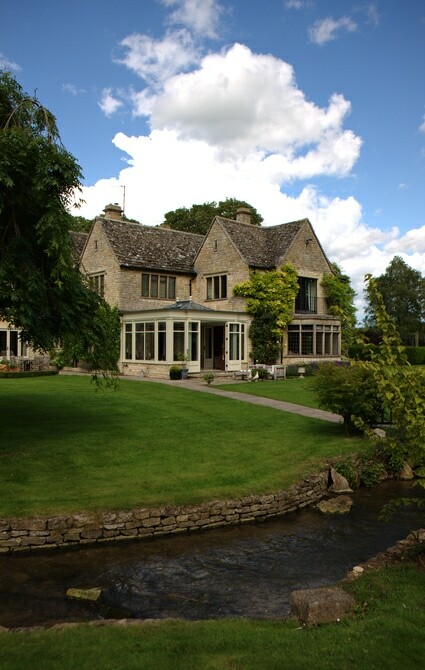 Stone faced walls have been matched with the existing building, continuing the natural style throughout and encouraging the orangery to nestle in with the rest of the property. 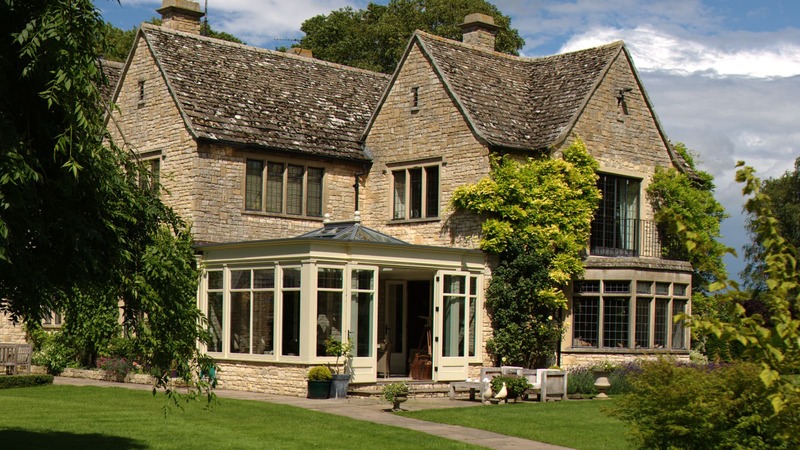 Using a water-based microporous paint in a warm neutral shade, the timber was sprayed with three coats which creates an extremely durable and protective barrier against weather, high levels of UV exposure and fungal damage. 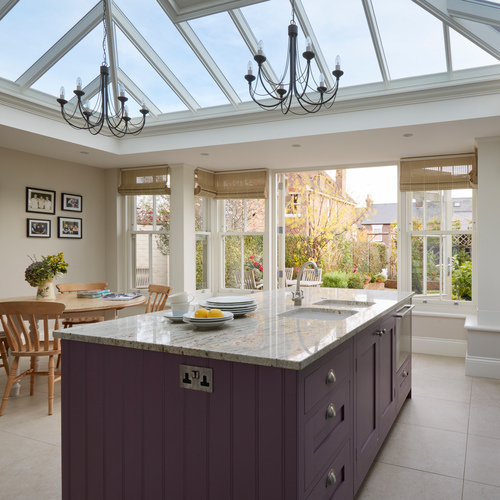 Designed with exacting precision, a roof lantern fills the room with natural light, giving a spacious and indulgent feel. Automatic, thermostatic double roof vents maintain a comfortable temperature, opening when the room warms up to draw the hot air up and create air flow, and closing as it cools or when the first drops of rain are detected.